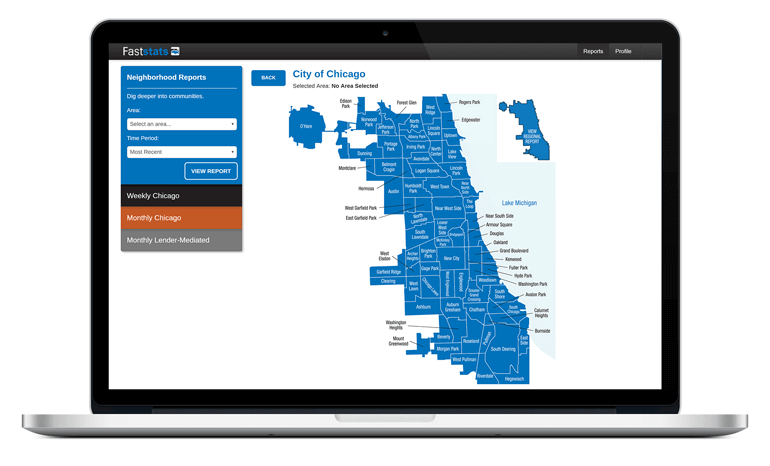 In-depth reports are already created; simply click to get a full display of data for all selected localities within a clean and visual interface. 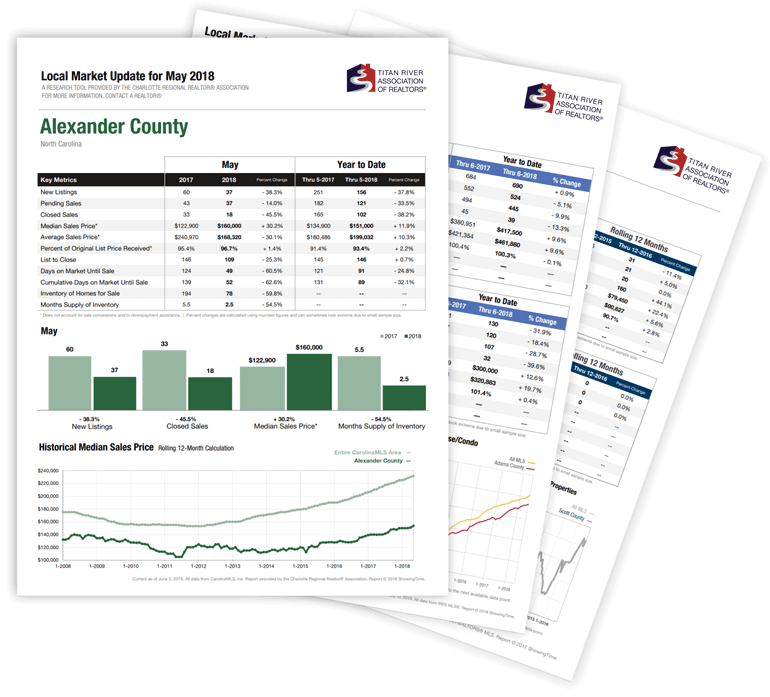 Select county, city, neighborhood, school district or other geographies to see a detailed one-page local market update for that selection covering a variety of metrics. 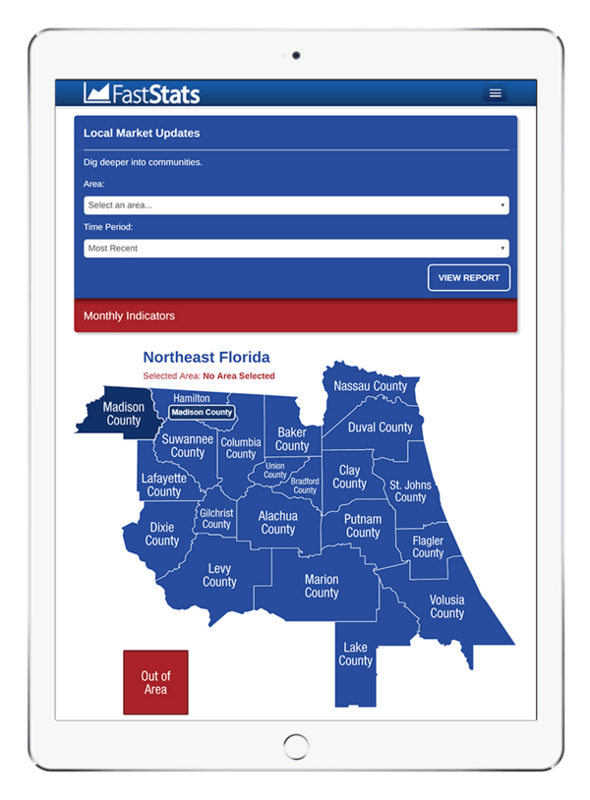 Distribute reports as the public voice of residential real estate or simply as a member benefit. See examples of available FastStats below. Dig deeper into cities and neighborhoods. When monthly reporting isn’t quite enough. An overview of your entire market’s key trends. An important segment explained in detail. An overview of the previous year’s market activity. Detailed reports at county and postal code levels. Provides trends by price range and property type. Sign Up for FastStats Today! FastStats is available for purchase at the MLS or association level.